Enticing sparkling wine crafted in the Traditional Method (Méthode Champenoise). Begins with beautiful aromas of brioche and toast on the nose, followed by hazelnuts and apricots on the complex palate. The finish is dry and brisk, yet decadent. 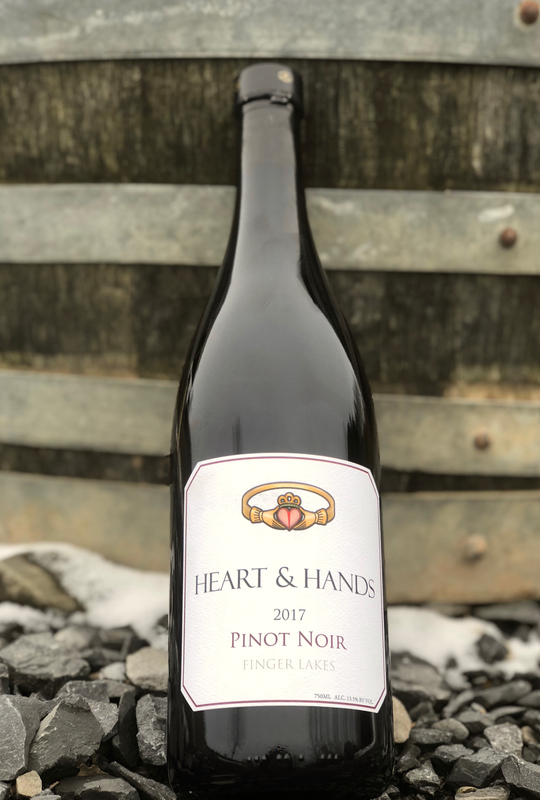 Second release of Pinot Noir grown on our limestone-rich estate vineyard. Raspberries and cherries on the nose, cassis and earthiness on the palate, beautiful structure and finesse. Limited production wine crafted from grapes grown on Cayuga Lake. Aromas of dark plums and Earl Grey tea on the nose, followed by bing cherries and earthiness on the palate. 100% whole cluster fermented. Limited production single vineyard wine crafted from grapes grown on Skaneateles Lake. Elegant wine with hints of raspberries and strawberries on the nose, delicate cherries on the palate, and medium tannins on the palate. Limited production Pinot Noir. Dark cherries, tea leaves and tobacco on the nose, plums and earthiness on the palate, firm tannins. 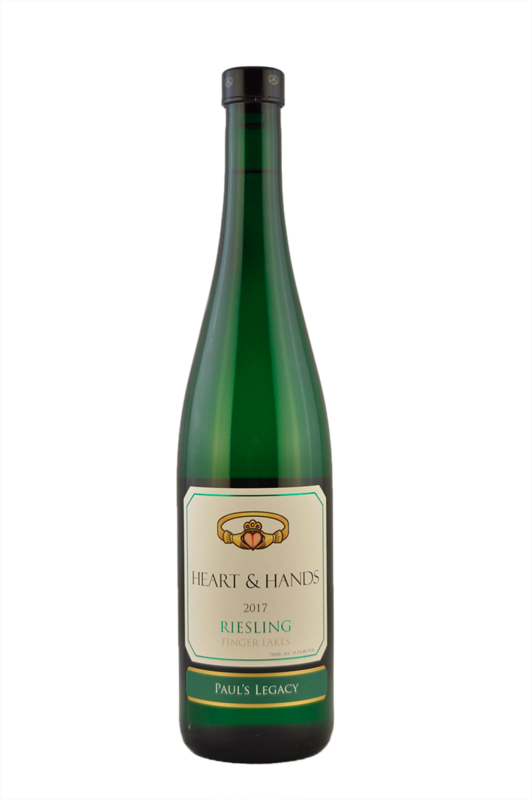 Beautiful Semi-Dry Riesling crafted from grapes grown on Cayuga, Seneca and Skaneateles Lake. Tropical aromas of kiwi fruit and mango on the nose, followed by luscious ripe white peaches and pineapples on the palate. Limited production sparkling wine crafted in the traditional method from 100% Pinot Noir grapes. Available only online or in our tasting room. 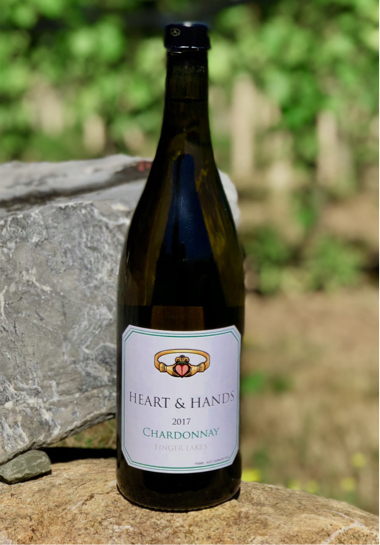 This is the first vintage of Heart & Hands Chardonnay! Notes of apricots and toast on the nose, followed by fresh nectarines and key limes on the palate, and a long, dry finish. Floral notes and chalky minerality on the nose, followed by key limes on the palate, and a crisp, dry finish. 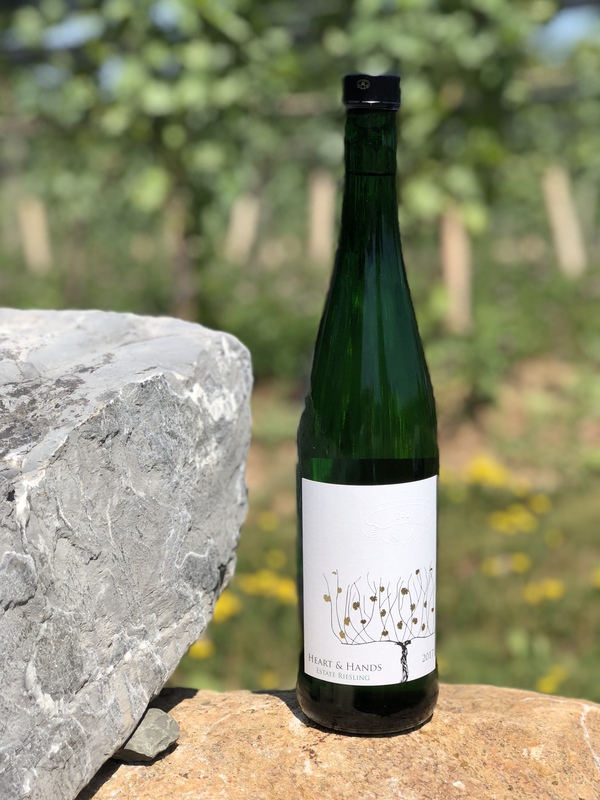 Dry Riesling crafted from grapes grown on just 400 vines on our sustainably farmed, limestone rich vineyard. Hints of key lime on the nose, followed by tangerines and lemon-lime citrus on the palate, and a taut, refreshing finish. 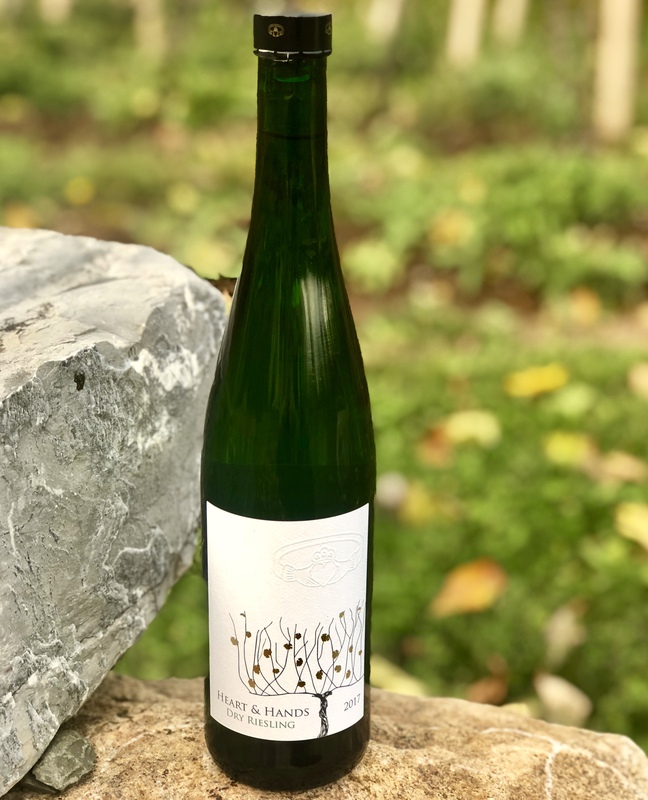 This dry riesling is a limited production wine crafted solely from grapes grown on the higher altitude shores of Skaneateles lake. Beautiful hints of pear blossoms on the nose, clementine zest on the round palate, followed by a brisk, refreshing finish. Only 58 cases were produced. Crafted from grapes grown on 4 Finger Lakes vineyards, including our limestone-rich estate vineyard. Notes of dark cherries on the nose, followed by rich plums and currants on the palate, and a long finish with medium-firm tannins. By entering Heart & Hands' Wine Store, you affirm that you are of legal drinking age in the country where this site is accessed. In addition to our normal tasting room hours, above, we also offer tasting appointments on some weekdays. 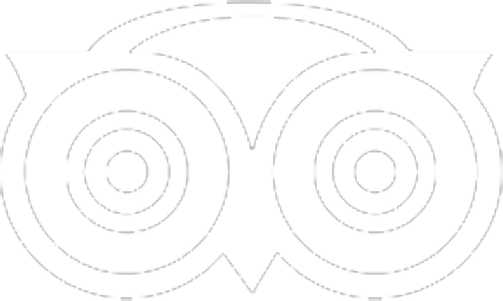 Please check our booking calendar for availability and scheduling.